In part one of this two-part video interview, Dr. Dhanunjaya Lakkireddy discusses left atrial appendage occlusion and the LAALA-AF (Left Atrial Appendage Ligation and Ablation for Atrial Fibrillation) Registry. In part two, he explores the effects of yoga (and other stress reduction) on those living with atrial fibrillation, including whether yoga can delay the transition from paroxysmal afib to persistent afib..
For more information, see Dr. Lakkireddy’s profile and contact info. Dr. Lakkireddy: As you’re aware, the left atrial appendage is a little embryological vestige that is attached to the left atrium, and it is the most common and most important source of clots and strokes in patients who have atrial fibrillation. It also has arrhythmia-based triggers that are responsible for initiating and maintaining atrial fibrillation in some groups of patients. It plays a very important role from a stroke standpoint, as well as from an arrhythmia standpoint. There are several technologies that are available to mechanically-exclude this particular structure. Some techniques include the open-heart surgical procedures, or minimally-invasive mini-thoracotomy procedures, where you could ligate the appendage or even deploy an appendage clip. From a percutaneous minimally-invasive step, you have implantable endocardial devices, like the Watchman device, or the Amplatzer cardiac plug, or the Wavecrest device, and so forth. And then there is another very innovative and creative device, called the Lariat, where you can actually tie off the appendage, without having to do any kind of thoracotomy, with minimal pericardial access with a needle. Our group actually had the most experience with the Lariat device, and we tried to use this particular approach of ligating of the appendage as an adjunct therapy to afib ablation in those patients who have persistent and long standing persistent atrial fibrillation. So it is a prospective registry, multicenter in nature. We are able to recruit about 62 patients up until this point in time where we have noticed a significant improvement in the overall response rates to radiofrequency ablation in those patients who actually had a left atrial appendage ligation. We also had less numbers of TIAs (transient ischemic attacks) and strokes in this group of patients. I do believe, in patients with non-paroxysmal atrial fibrillation, the left atrial appendage seems to play a very important role in arrhythmia initiation and maintenance, and so mechanically- and electrically-excluding this particular structure seems to make sense. We’re going to expand this study to multiple centers and collect a much bigger number to be able to really study and reconfirm our initial observations. We also believe that the left atrial appendage plays a significant role in systemic homeostasis, controlling the blood pressures and those types of things. When you take out this particular structure, there could be some significant neuroendocrine changes that could also explain the positive benefits that we’ve been noticing in patients with appendage ligation. Dr. Lakkireddy: Atrial fibrillation is a very unique, ubiquitous arrhythmia that has significant interactions with the central nervous system, autonomic nervous system, so what happens in the heart sometimes can be regulated by what happens in your brain through your autonomic nervous system. That’s where the entire ganglionated plexi and other things really come into play. There is a significant amount of data, and there are actually a lot of patients who can clearly tell you that, whenever they are stressed out or upset, their episodes of atrial fibrillation trigger in. They sustain and go from there, and stress reduction and relaxation seems to really help a lot of patients. When you really look at the source of arrhythmias in human beings, the central nervous system actually has a lot of components. And any time your body is under stress, anxiety, and fear, there are components of your brain that are activated, which then transmit impulses to you autonomic nervous system, triggering arrhythmias, both in the atria as well as the ventricles. It’s a well-defined phenomenon that has been well studied. Now, we clearly know that the central nervous system has a role to play on the cardiovascular system. If you really look at various strategies that you could use to really impact and moderate the central nervous system, you have things like biofeedback, and several other things that you could initially do to impact your central nervous system. I thought yoga would be a very interesting, very practical tool to really look at. In fact, the inspiration for my study actually comes from one of my own patients, who actually can stop her afib episodes by doing breathing exercises and doing 15-20 minutes of yoga, which I thought was amazing, and I felt compelled to study that in a more scientific fashion. We took a bunch of patients who have paroxysmal atrial fibrillation, and we studied their arrhythmia burden by giving them heart monitors. Then, we recorded the number of episodes they experienced and the severity of symptoms they had. And then, after three months, we put them on a regimented yoga program, which involves the regular asanas, the poses, and breathing exercises, which they did for at least three times a week for a span of three months. Then, during that period, we monitored their arrhythmia burden, and looked at their overall symptomatic and asymptomatic episodes. What we found was about a 35% to 40% reduction in the number of episodes of atrial fibrillation, and that effect seems to be directly proportional to the number of episodes of yoga that they did. It definitely is very promising because it’s the most inexpensive and the most non-invasive way of actually affecting your clinical profile and it really helps to improve the symptom burden to a great degree. The quality of life seems to be significantly better; their anxiety and depression scores seem to be significantly better. I would say, in addition to everything else, that you guys do from the basic recommendations of your doctors, you should definitely think about doing at least 30 minutes of yoga every day to really keep your afib burden under check. We actually have an educational DVD that we’re going to bring out through the Journal of Atrial Fibrillation, for patients, to really help them to figure out this concept of yoga for atrial fibrillation. Question: Can yoga delay the transition from paroxysmal AF to persistent AF? Dr. Lakkireddy: It is quite possible, although we don’t have any data to support that. We’re working on that particular issue. 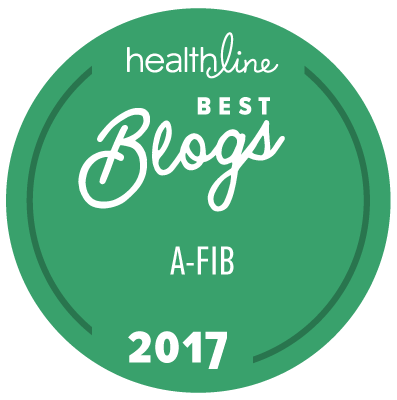 But, it conceptually makes sense, because if you really look at why patients move from paroxysmal to persistent atrial fibrillation, afib begets more afib. That means if the number of episodes of afib increases, then the amount of systemic inflammation that sets in makes your afib more frequent; as a result of which, there are some structural changes that happen in your left atrium, and as a result of which, your paroxysmal afib becomes more persistent afib. Yoga can actually be a very good intervention here because yoga reduces the number of episodes of afib, so that means it is decreasing the probability of you developing more systemic inflammation. It is also clearly established that doing yoga reduces the overall inflammatory burden on your body, which I think can result in positive modulations. Yoga decreases blood pressures, yoga decreases the sympathetic surge in your body, all of which are proinflammatory factors, which promote evolution of the substrate from paroxysmal to persistent, so I think it makes absolute sense. Mellanie True Hills: Absolutely. Thank you so much, Dr. Lakkireddy, for sharing this very interesting information with us.